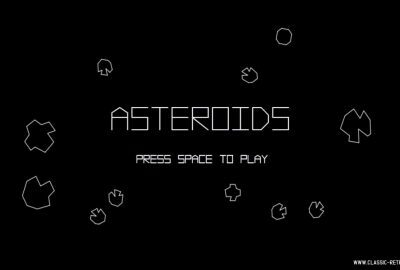 On September 8th, 2016, NASA launched a daring mission to intercept an asteroid for the first time. 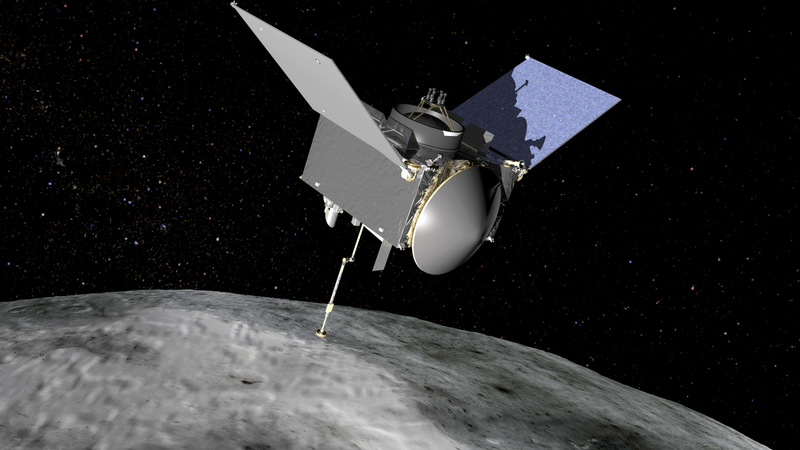 The probe, OSIRIS-REx, is on a seven-year round trip to Bennu––a small, carbon-rich heavenly body that could help unlock the secrets of how life came to be in our solar system. 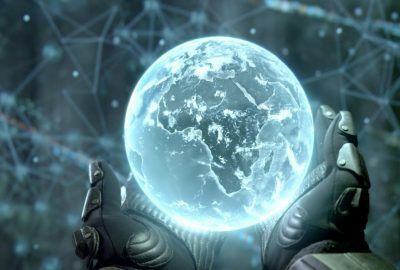 Did life form right here within the planets? Did microbial life make its way here from another solar system? These are fundamental questions that we’ll begin to try and answer once we reach asteroid Bennu and bring a part of it back to Earth. But first, the asteroid-hunting spacecraft needs a boost to its destination and will get one from Earth’s gravity at the end of this week. Just one of the many turns on OSIRIS-REx’s long and complex mission. Asteroid Bennu is one of the smallest objects NASA has investigated at 1,600 feet in diameter and it has been traveling throughout our solar system since its earliest days at a speed of around 63,000 mph. For this reason, scientists think that Bennu may have been acting as a “witness” of sorts that has been privy to the creation and evolution of the planets. “Bennu was chosen because it’s accessible and its orbit is so much like ours. Because of its size, we are able to do this detailed survey and mapping. We’re actually able to go up and touch the asteroid. It rotates at such a rate that we can actually do a safe collection of that sample,” said Dr. Christina Richey, deputy program scientist at NASA. NASA hopes to find organic material among the carbon structure of Bennu that may have clues to the origins of life in this part of the Milky Way. Why? Because carbon is one of the building blocks of organic life. OSIRIS-REx is equipped with a device that will release a sharp burst of air while it hovers just above the asteroid’s surface and the spacecraft will attempt to capture the loose, rocky material it rustles up. While the mission’s primary objective is to retrieve and return a regolith sample from Bennu’s surface, scientists and researchers also want to investigate the potential for impact by asteroids like it. Bennu comes pretty close to Earth every six years and in 2135, the asteroid will come within 186,000 miles––closer than the Moon. While NASA claims this isn’t much of a concern and that Bennu won’t hit us, its trajectory and size allow scientists to study how asteroids navigate and how its path could potentially be altered by thermal activity (The Yarkovsky effect) on its surface. 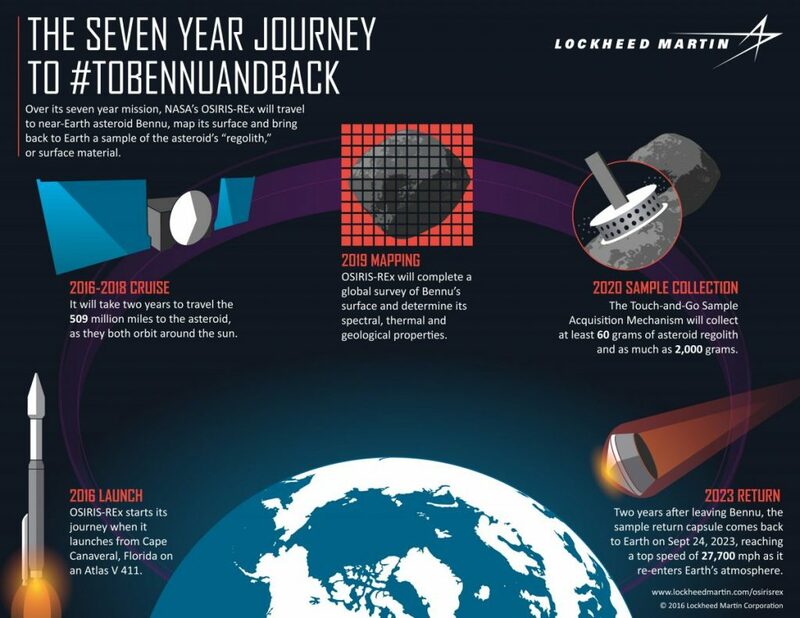 OSIRIS-REx will spend about 500 days mapping Bennu. In order for OSIRIS-REx to reach Bennu by this time next year to begin its investigation, the probe must slingshot around the Earth for a gravity assist and propel itself on a new trajectory toward its destination. OSIRIS-REx will approach Earth at 19,000 mph on Friday and will fly over Antarctica where it will be out of contact with NASA’s Deep Space Network for just under an hour. 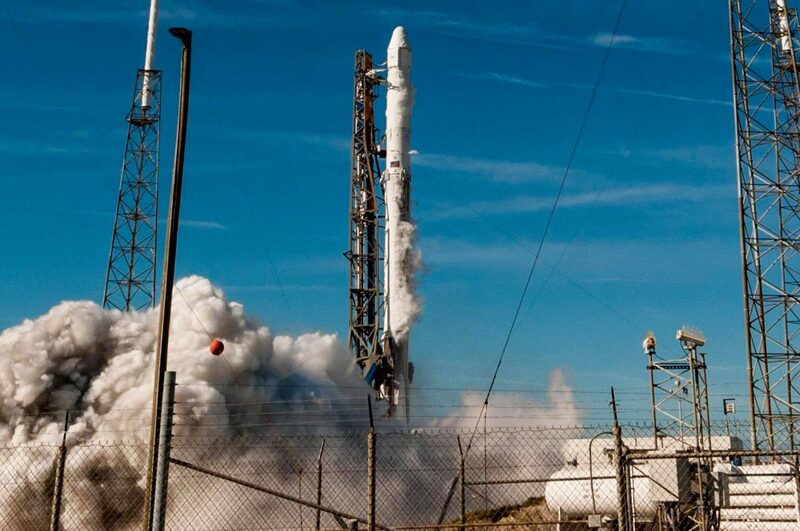 During this time, the spacecraft will be at its closest to Earth at around 11,000 miles above the surface. OSIRIS-Rex has spent the last year just ahead of Earth’s orbit around the Sun, tilted just six degrees off. The spacecraft must fly over the South Pole to now match its inclination to Bennu’s and the two objects will have an identical orbit once the gravity assist is complete. While a trajectory and speed change can be done by a spacecraft itself, there simply wasn’t enough fuel in OSIRIS-REx. On September 8, OSIRIS-REx lifted off from Cape Canaveral atop an Atlas V rocket. After breaking orbit, the probe traveled around the Sun for a year and will now do a flyby of Earth for the gravity assist and slingshot to Bennu. In August of 2018, after two years, OSIRIS-Rex will make its approach toward Bennu with a distance of 1.2 million miles between them. The spacecraft will match the speed of Bennu’s orbit with its small thrusters. Beginning in October 2018, OSIRIS-REx will begin surveying Bennu for signs of asteroid plumes and natural satellites. It will also begin measuring the Yarkovsky acceleration of Bennu which shows how momentum-carrying photons affect its speed and rotation. After 500 days of mapping Bennu, OSIRIS-REx will choose a location and retrieve the regolith sample. Without landing, the spacecraft will deploy its robotic arm that will shoot a pressurized burst of air to disturb rocks and particles on the surface while snatching some of it up. There’s only enough nitrogen on board for two bursts of air and this must be accomplished in a window of 5 seconds. In March 2021, OSIRIS-REx will start its journey home with at least 60 grams of regolith material. In September of 2023, OSIRIS-REx’s trajectory will intersect with Earth’s orbit. OSIRIS-REx will separate the sample return capsule and let it barrel toward Earth while the spacecraft pushes away and into an orbit around the Sun. The regolith capsule will pierce the atmosphere at about 27,738 mph but Its heat shield will protect the samples. On September 24, 2023, after OSIRIS-REx’s seven-year journey, NASA will collect its sample after it free falls for a touchdown in the Utah desert.